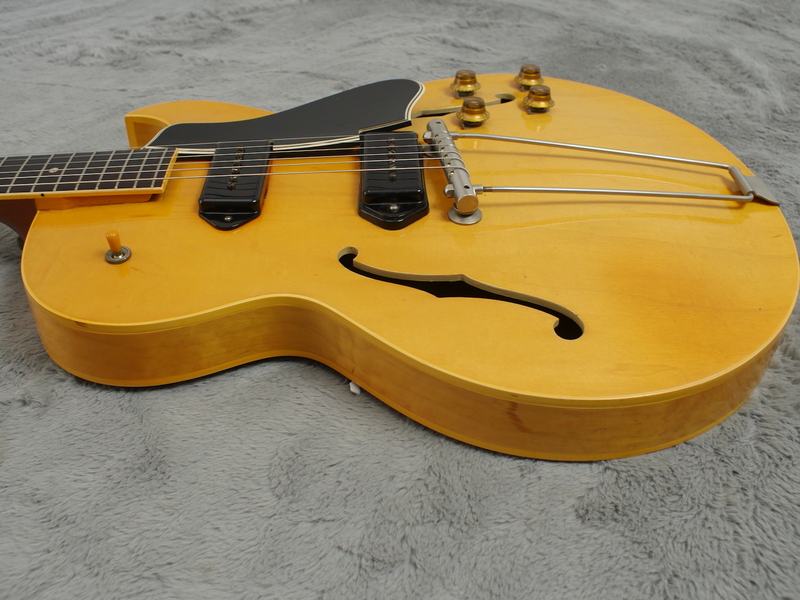 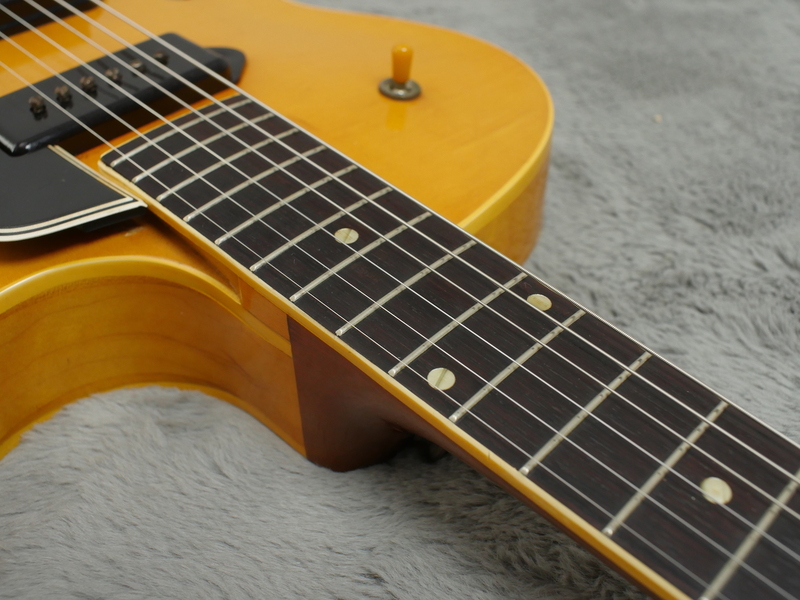 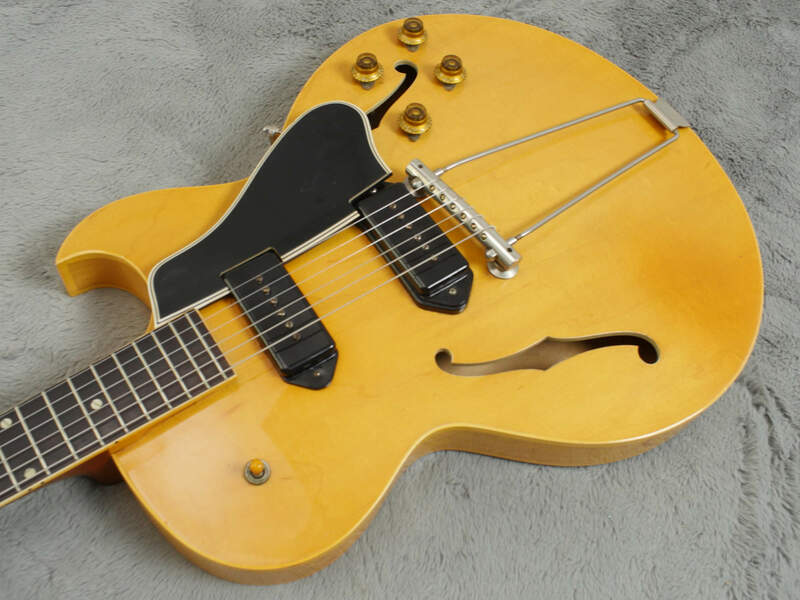 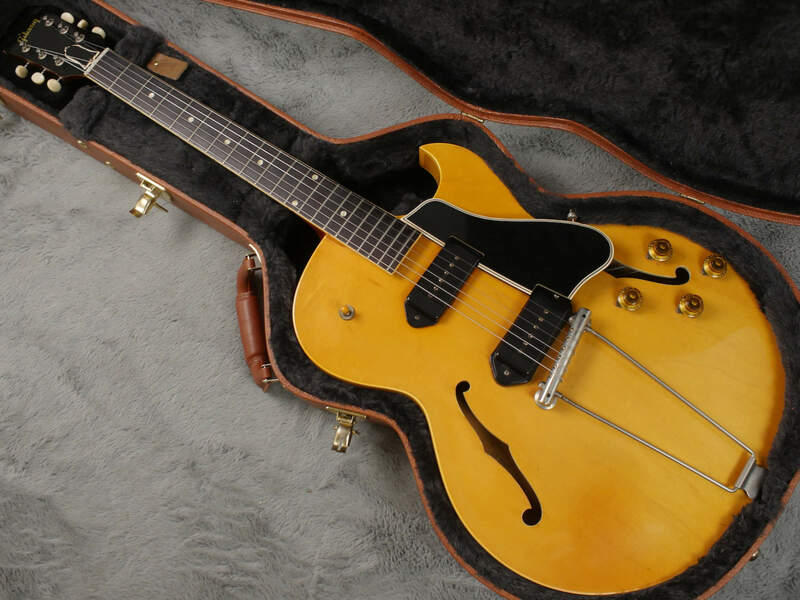 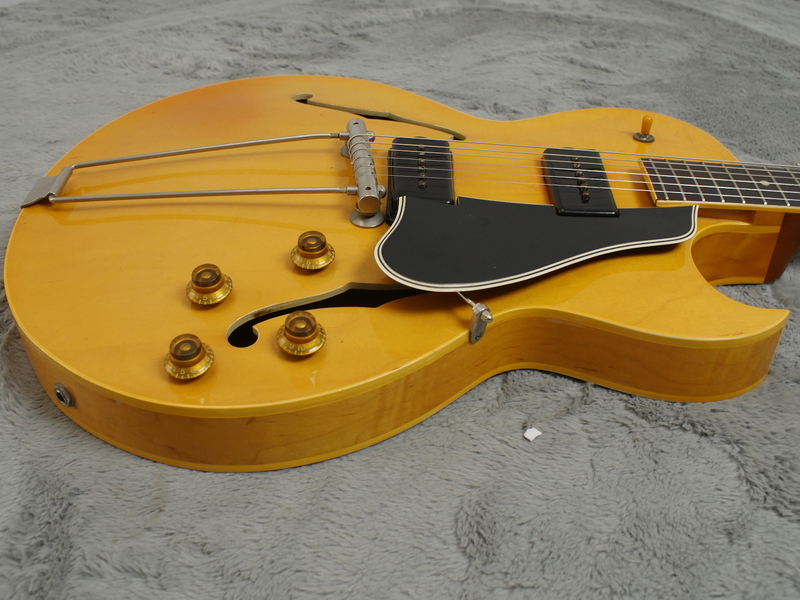 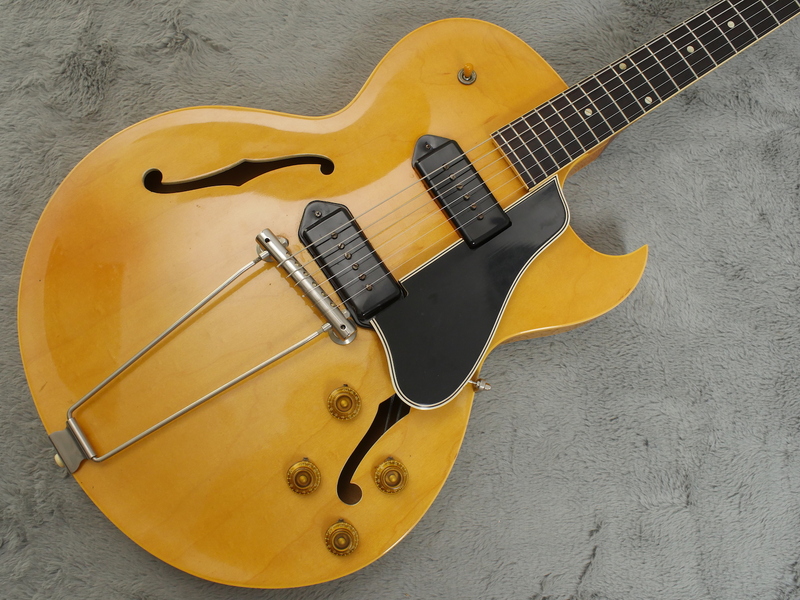 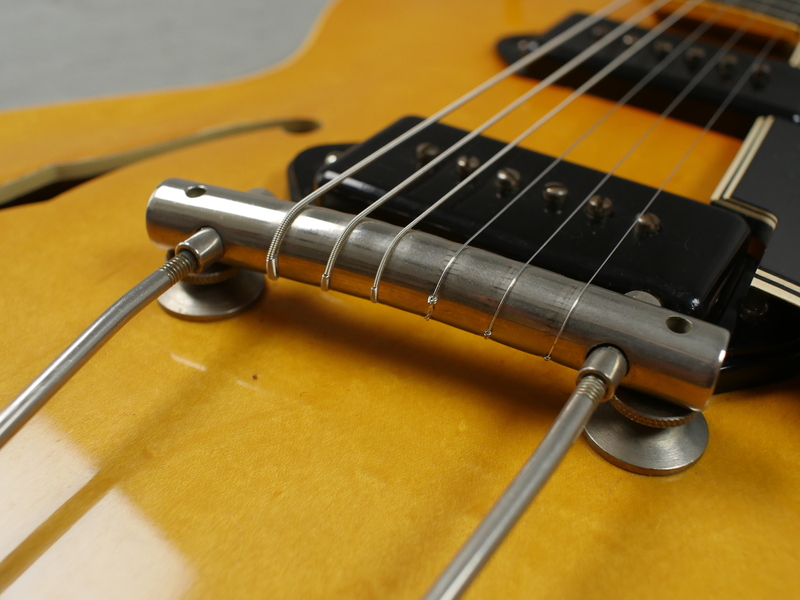 Lush looking, sounding and playing blonde Gibson ES 225 TDN from one of the years of the great Gibson neck. 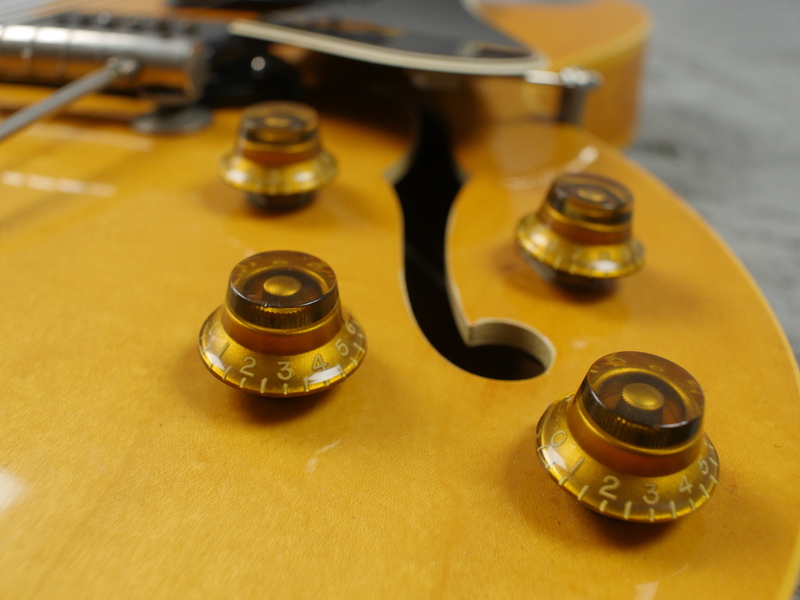 All correct aside from some recently replaced tuner tips that look so authentic you would struggle to tell unless we told you, which we just have of course. 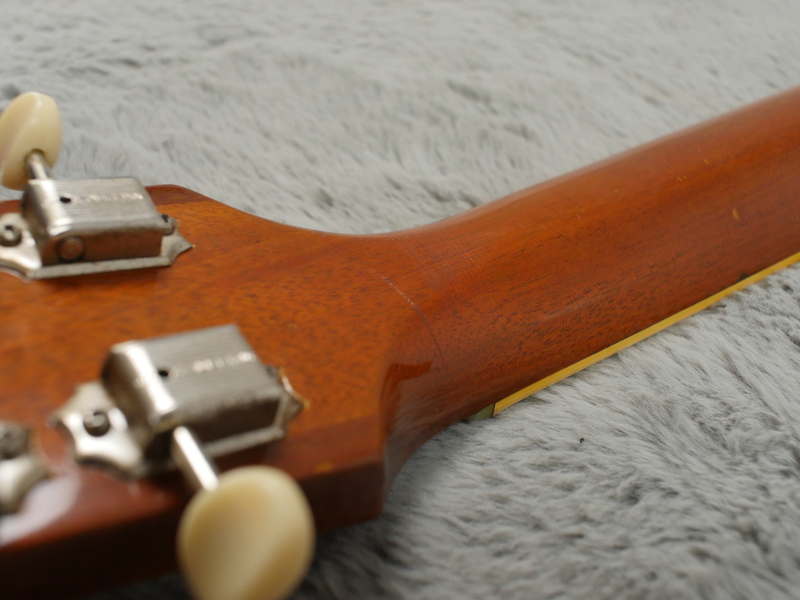 And for those futurologists who believe one day science will allow anti entropic reconstructions, the crumbled remains of the original tips are in a bag, in the case pocket. 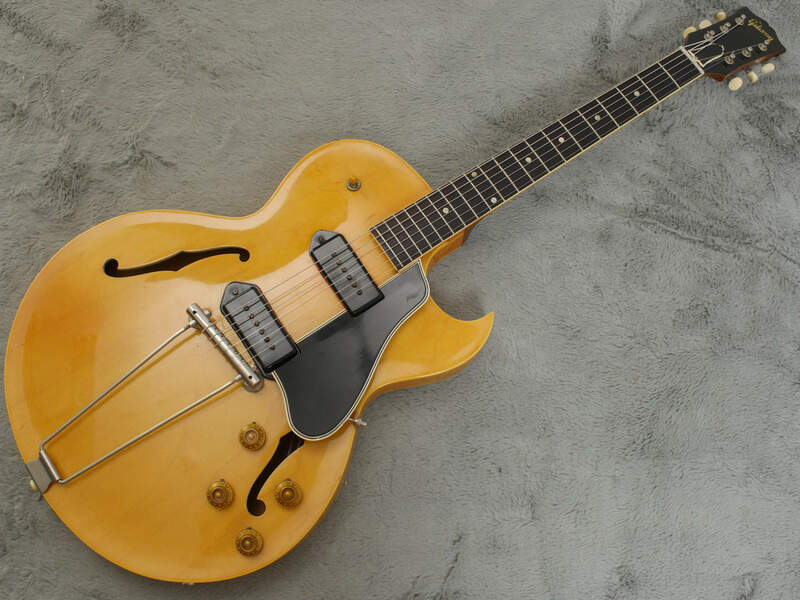 Plays beautifully and with pretty much spot on intonation on this one. 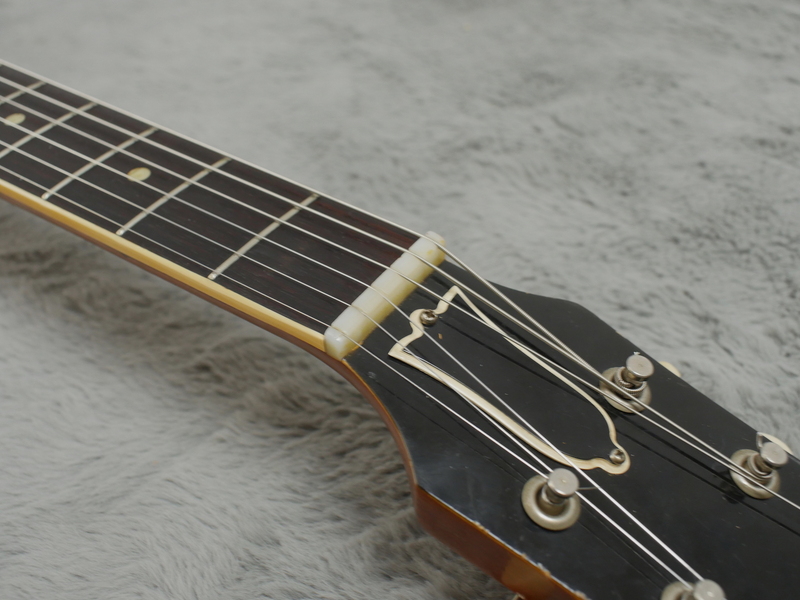 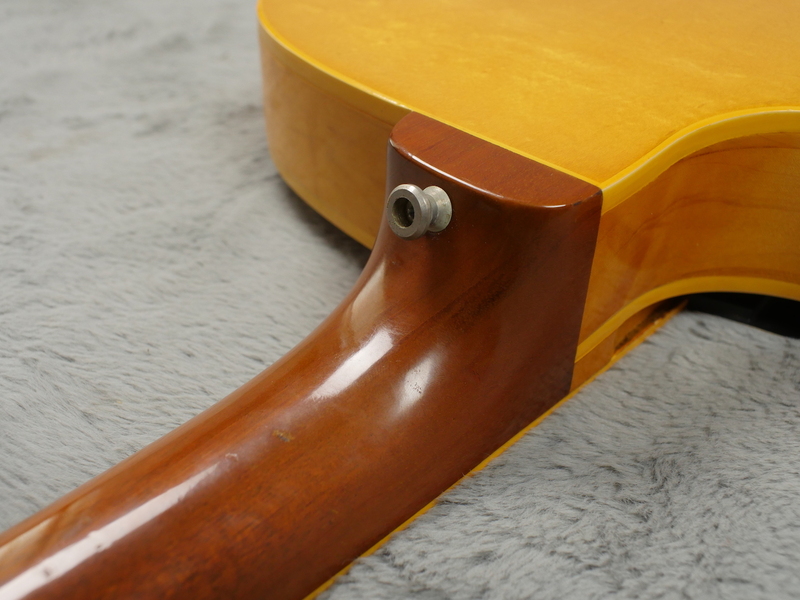 The trapeze tailpiece really does seem to suit this model very well. 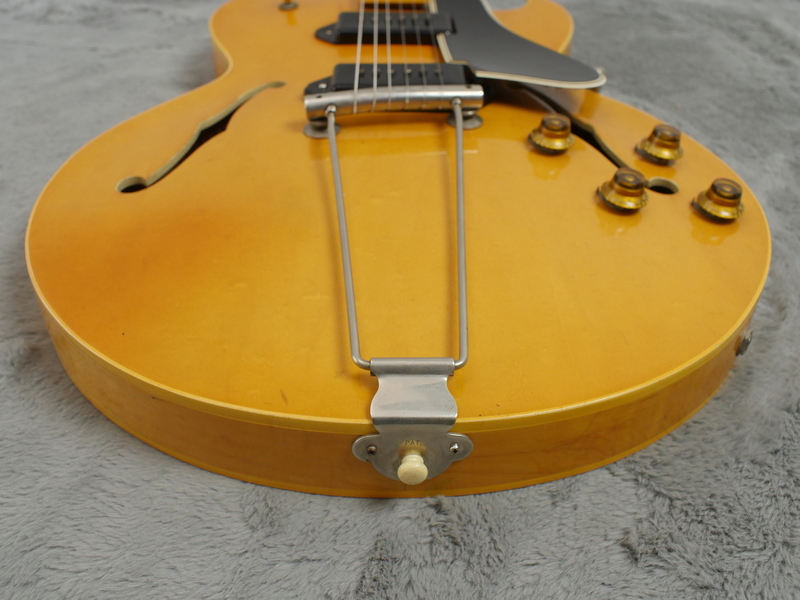 Two classic, vintage P-90’s sound totally amazing and this is one fine ES-225 that has not been parts raided, it even includes the original Burst style bonnet knobs and catalin switch tip which are usually the first items to go. 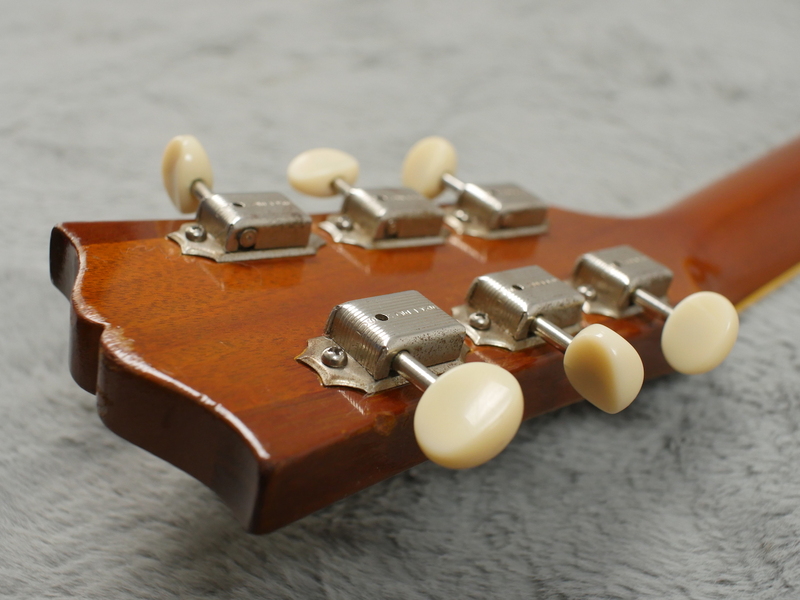 Nice feeling chunky, classic ‘56 fat neck that wraps around your hand with ease and feels as comfortable as a well loved, soft glove to play. 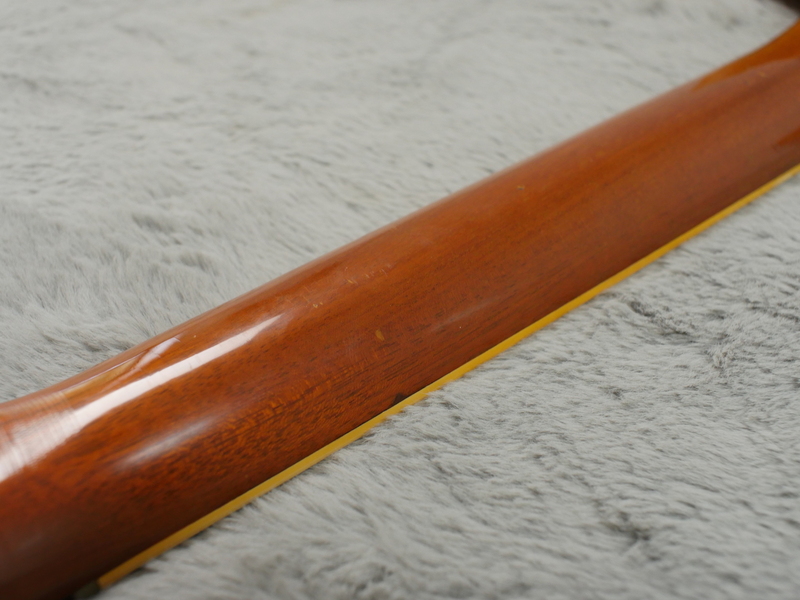 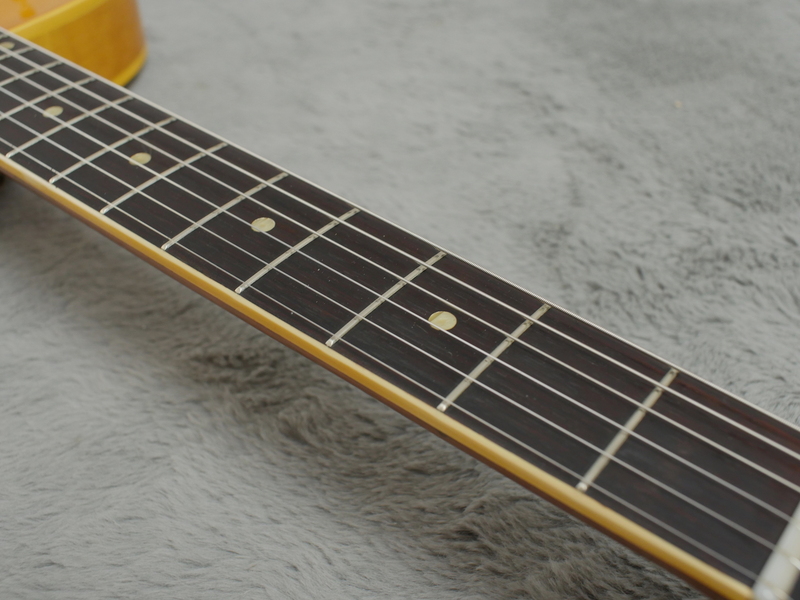 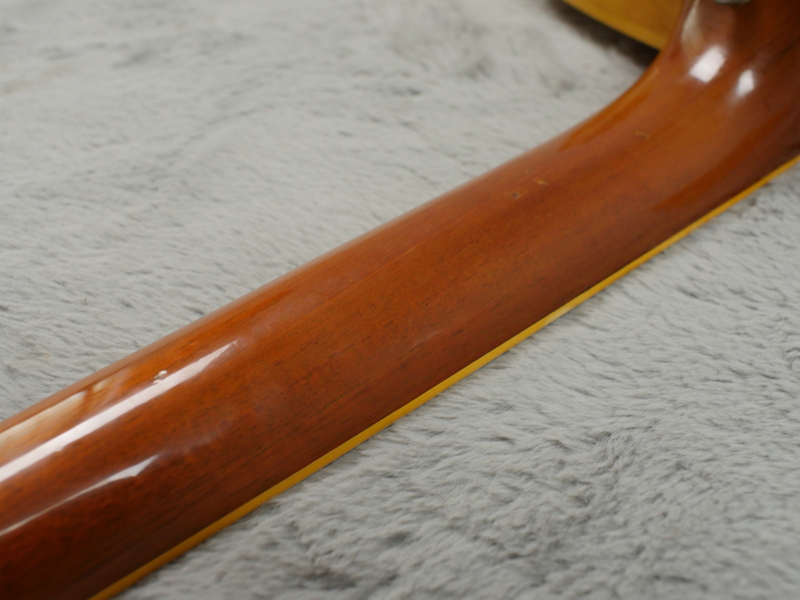 Original frets are in great shape and there is hardly any rutting on the fingerboard. 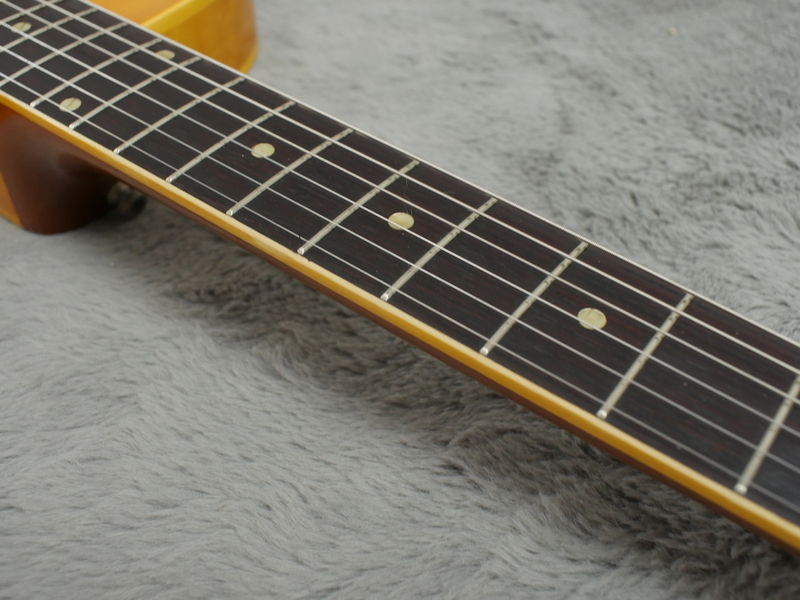 Cosmetic condition is excellent, hardly any wear marks or dings, a bit of checking and fade but overall very nice indeed. 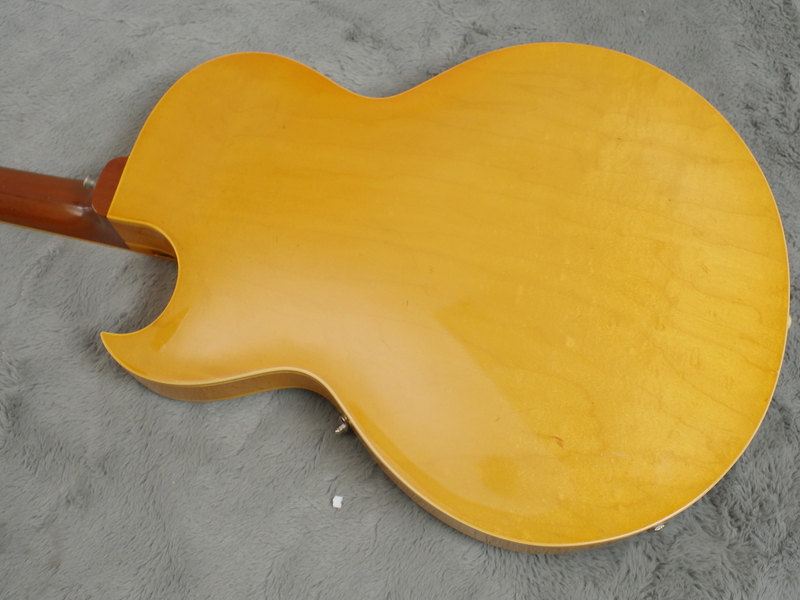 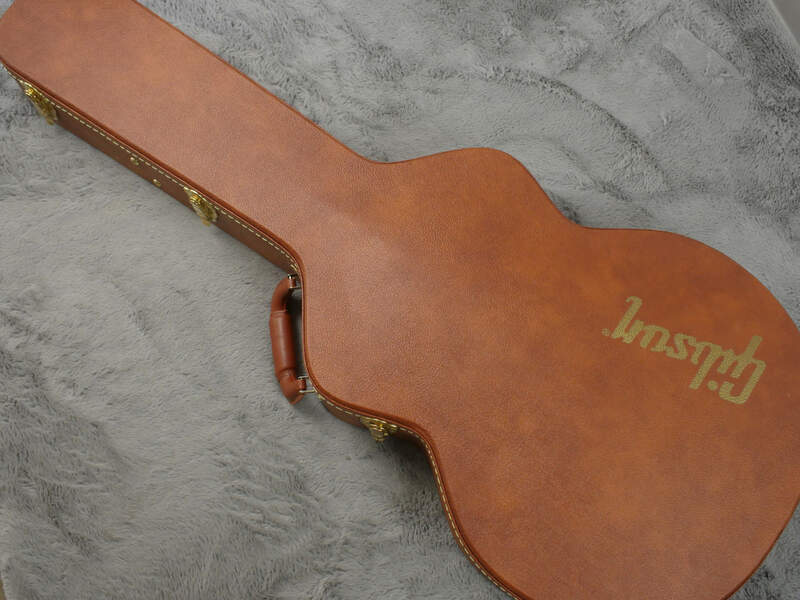 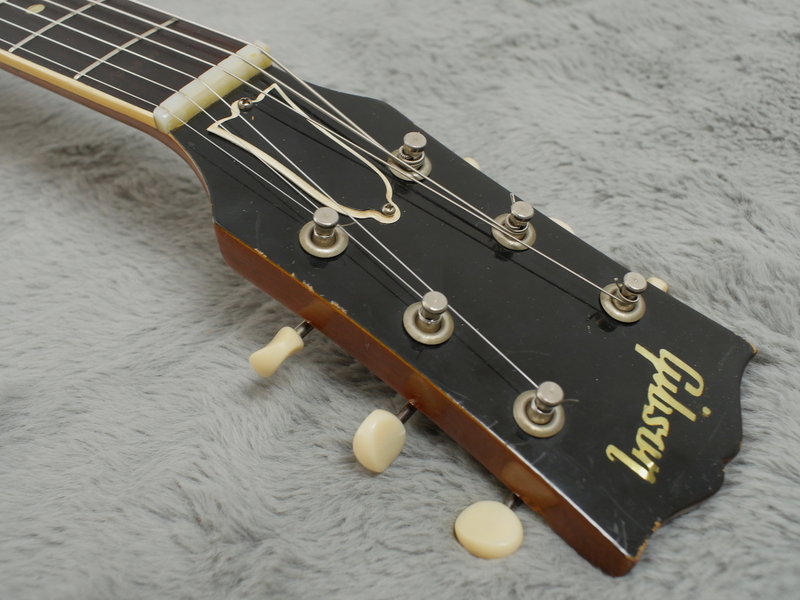 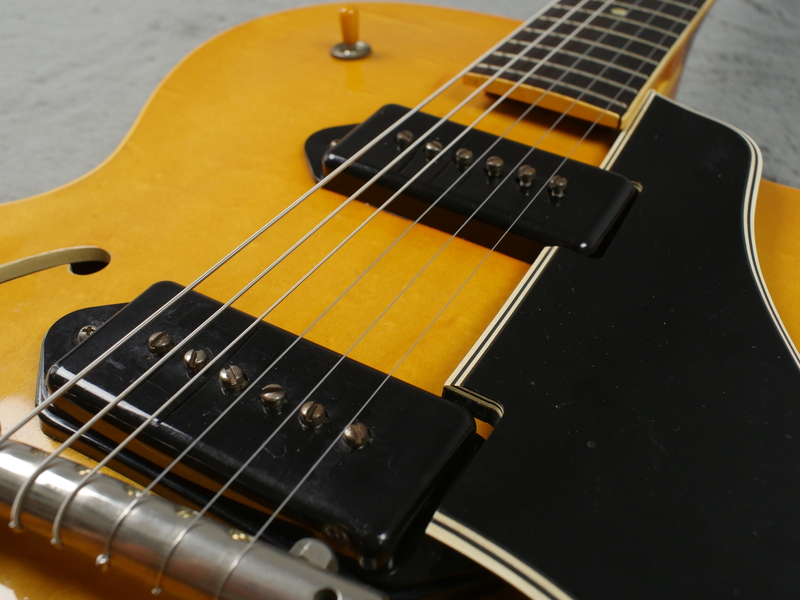 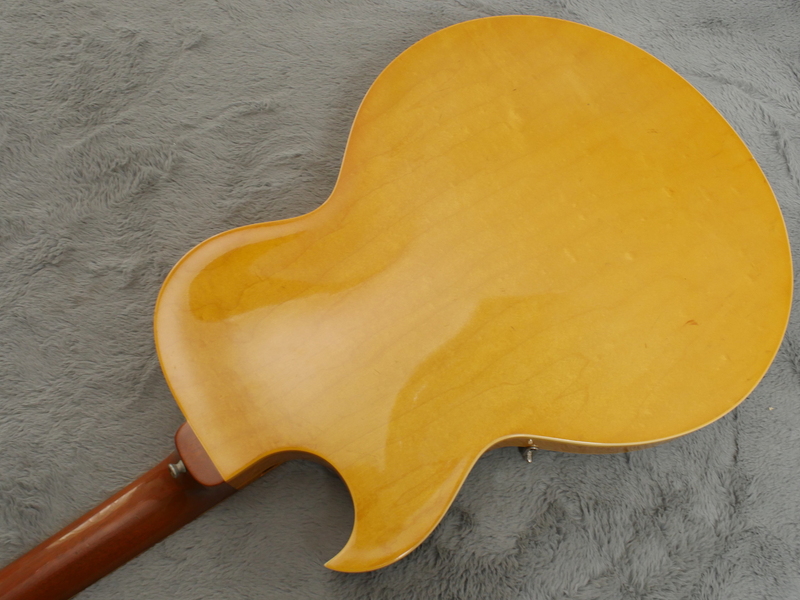 Included is a nice hard Gibson badged ES case of recent times that protects the guitar very well. 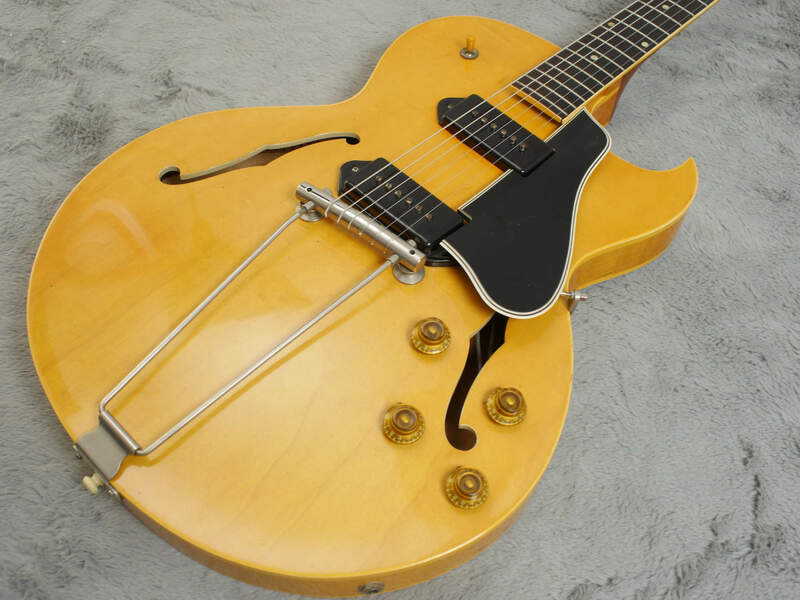 Rare to see these lovely blonde, finished 2 pickup ES-225’s the sunburst ones and the single pickup ones are a lot more common however you will soon find the 2 pickup versions are really the ones to get.